Carloh is a native and resident of a small Ecuadorian town, Quito, Valle de los Chillos where he produces a style of house that takes influence from the Andes. Following strong releases on Desolat, Baumsounds, Hot Creations and I’m A House Gangster, Carloh’s Rawthentic debut is exemplary of his “Andes House” sound. 1. Hi Carloh, great to speak with you. As a native and resident of Quito, Valle de los Chillos, would you start by telling us about your musical upbringing growing up in Ecuador? Hi, now I have to tell you something, where I live I am surrounded by mountains and many magical places where I am inspired. My education began with popular music and the music that is derived from the Andes and in the villages where I live like the sounds of drums and the pingullo. These all helped open my mind to imagine a world full of sounds, like the wind in the mountains, and the sound of falling leaves are the elements that gives me the artistic growth. Plus, the study of music in the equator is more traditional and is what holds me to my roots. The scene in Ecuador is always growing, new brands and new guys are always coming through. 2. How has the electronic scene changed in Ecuador from your experience over the past decade? The scene in Ecuador is always growing, new brands and new guys are always coming through. We have Lost Beach Club which is one of the best places in Latin America. Lost Beach is one of the longest lasting clubs and has given a great contribution to the Ecuadorian scene. Then Monovox in Guayaquil, Bassick, Antena festival in Quito, Roto Fest and Tripy Tripy Festival in Cuenca are fundamental pillars for this growth. 3. You’ve recently released your Rawthentic debut EP ‘Spiritually Engaged’. Would you take us through your creative approach to those five original tracks? 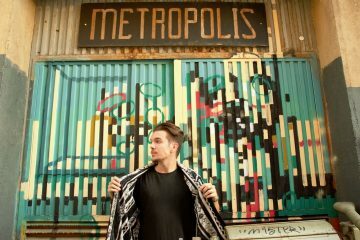 My 5 tracks are inspired by the street and the mountains and a country of 4 worlds, inspired by the multiculturalism that my country has. I was influenced by San Juanito and the rhythms of Ecuadorian popular music, but my EP has a more standardised sound with vocals of hip hop or dialogs that I like. 4. 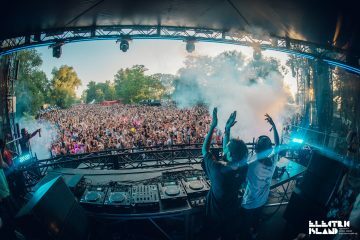 As a man who has released on many renowned house labels like Hot Creations and Desolat, how do you feel joining Carlo Lio and Nathan Barato’s iconic Toronto imprint Rawthentic? Very Happy! From the beginning I have always admired Carlo Lio and Nathan, as in my country they are icons of electronic music. I remember when Carlo Lio came to Quito for the first time and I fell in love with his beats and I told him that ‘one day we will collaborate’, and we have actually done it with a lot of work, but maybe he doesn’t remember hahaha! 5. Your style of production is a wonderful fusion of South American influences with strong electronic beats, which has been dubbed ‘Andes House’. Would you tell us some more about this genre and what it is in your own words? ‘House Andes’ , is the Andean house of the music that is born in the Andes, the music of the mountains that has that spirituality and that connection to bring happiness to all the people who listen to its feeling, art and its culture. This is the concept of my race. 6. You’re a well respected DJ who performs across the South American circuit. We were curious about your unique sets performed in public spaces around various landmarks like the Monumento “A La Resistencia”. What is the story behind these? In my country there are great artists and my mission now is to never let the music die. I am carrying the legacy of the master Oswaldo Guayasamín who is the sculpture of the monument to Rumiñhahui called the resistance located in Sangolquí sector where I was born. I decided to make my first video by this great work, symbol of the resistance and freedom of the indigenous people, and this fills me with a lot of inspiration because I feel a great connection with art, since with art you can express so many profound things. Soon we will make more videos in museums and magical places of my country to rescue the legacy that our artists have left us. 7. What’s been some of your most memorable performances to date? I love traveling through most of my country as it is magical to find a scene that I could never have imagined, like playing in villages where they are completely surrounded by nature. I loved playing in the Galapagos Islands as it’s a magical place full of flora and fauna, and in Vilcabamba where I played more than 7 hours without stopping and the party lasted a whole day. I also love playing in Montañita at the Lost Beach Club where it always fills me with inspiration. I have two EPs to go out and I also get to tour in Europe. With both these things I have a lot of love, good music and good vibes to share with you. 8. There is a lot of strong Ecuadorian talent in the electronic music world. Who would you list some of your favourite artists repping your country’s flan? 9. 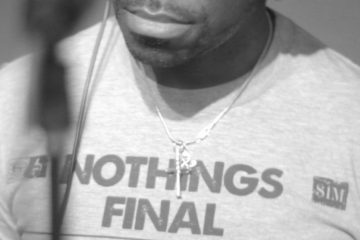 What can we expect from Carloh musically throughout the remainder of 2019? 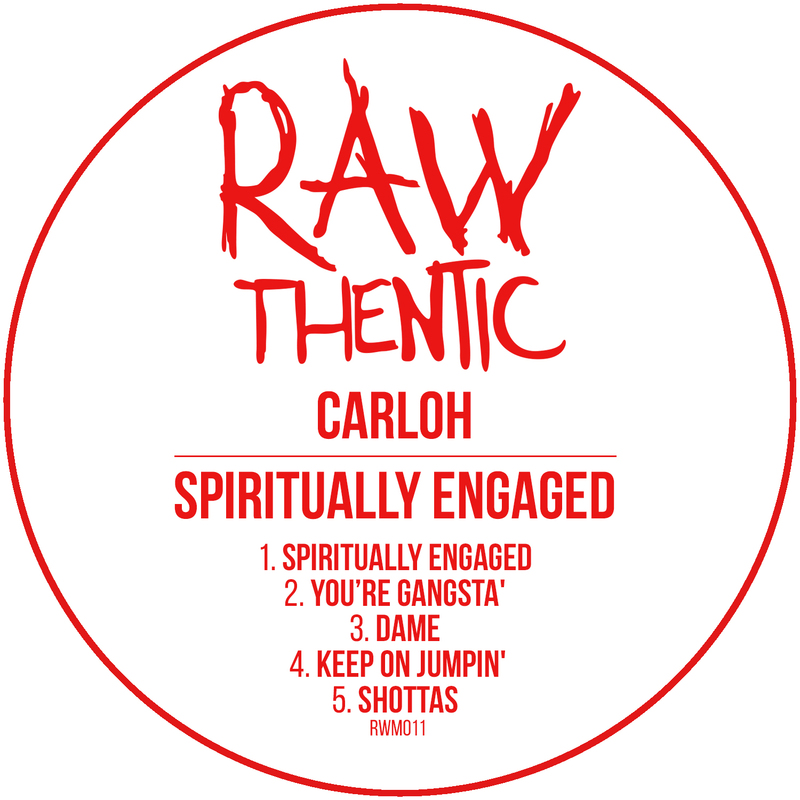 Carloh’s ‘Spiritually Engaged’ EP on Rawthentic is out now!